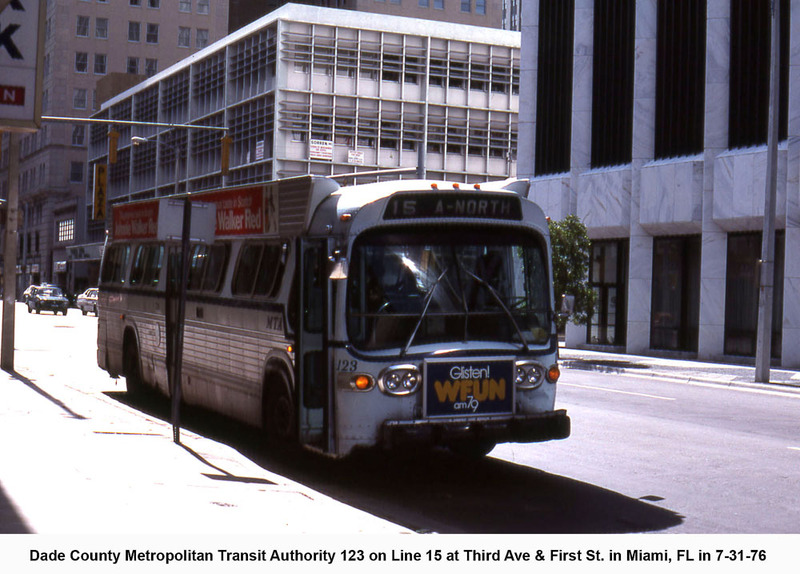 1971 GM T8H 5306 "fishbowl"
In 1971 the MTA ordered their first V8 powered buses. 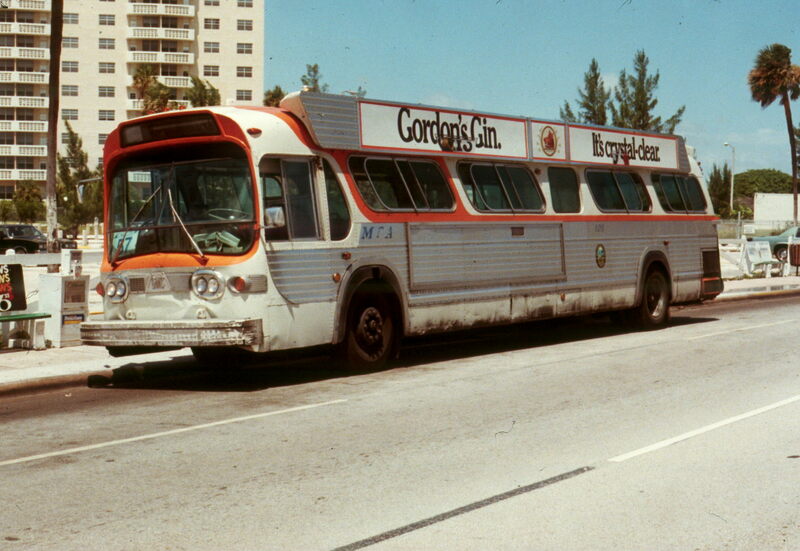 The order was for 100 8V71 powered coaches numbered 100-199 from Gereral Motors. 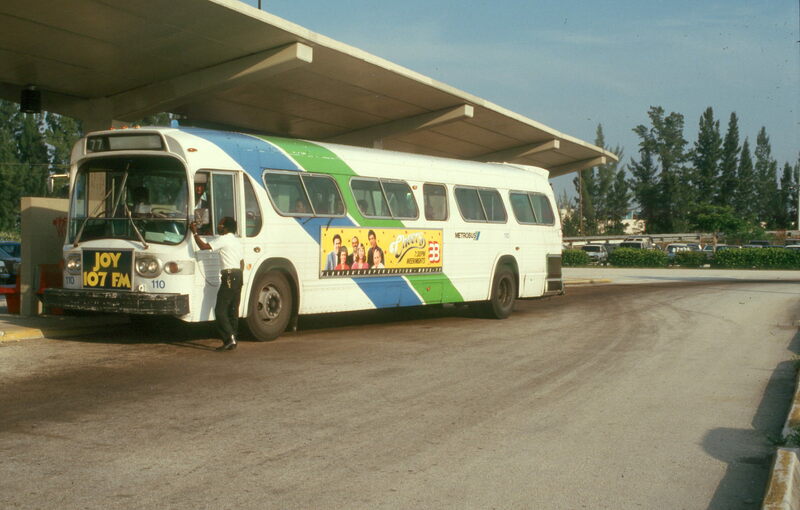 The were configured for 53 seats and were also the first ordered with hard vandal-proof plastic seats. 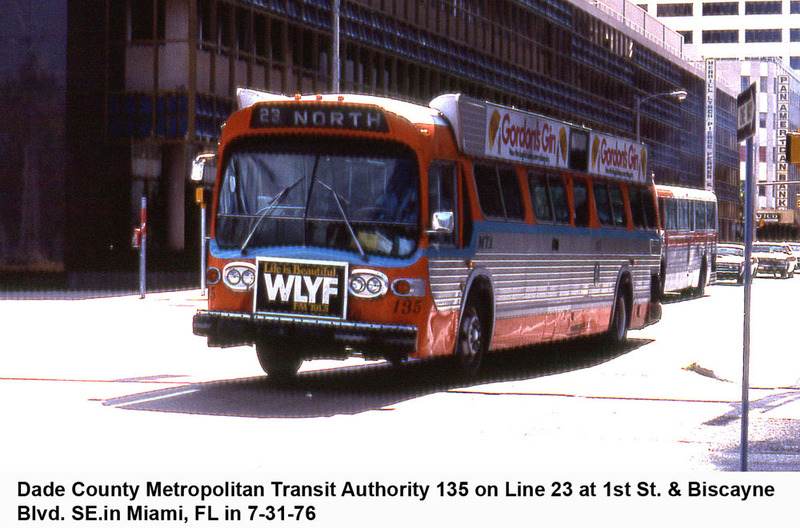 In 1983/84 most of the series was rebuilt in-house and the vehicles remained in service until 1987/88. 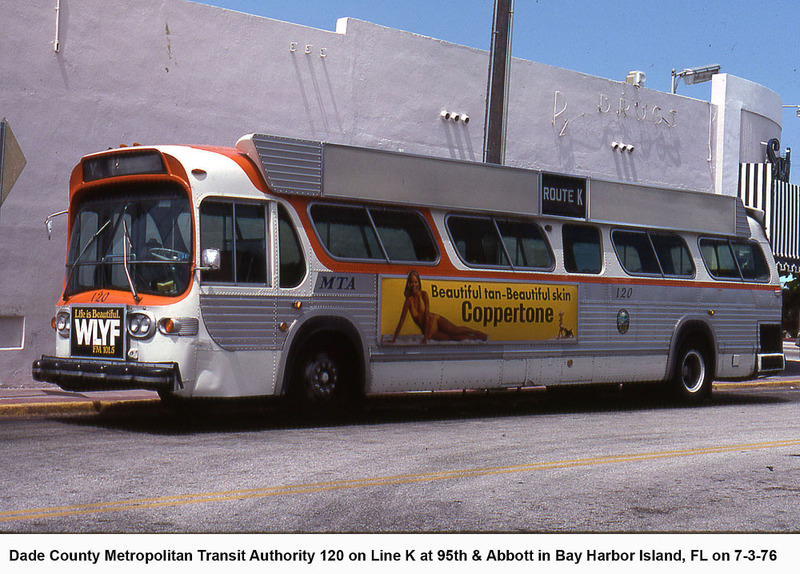 Two buses, 110 and 188 continued in service until 1990 when they were replaced by the 9000 series Flxibles. 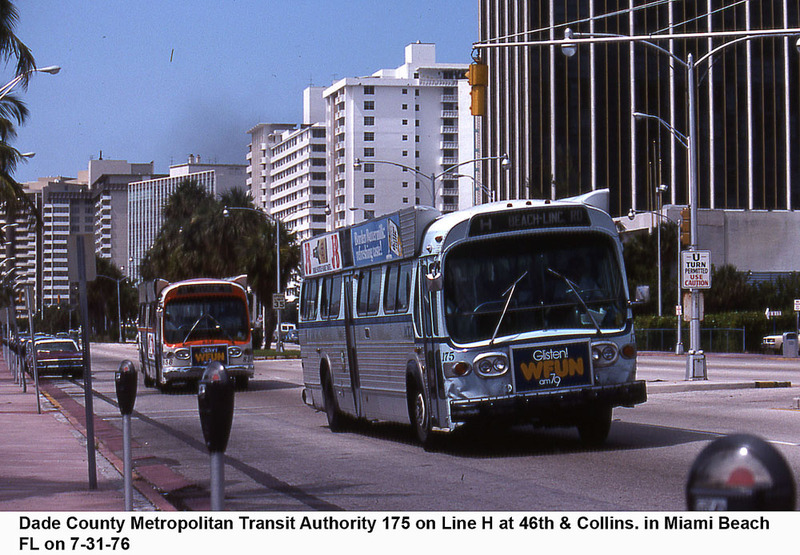 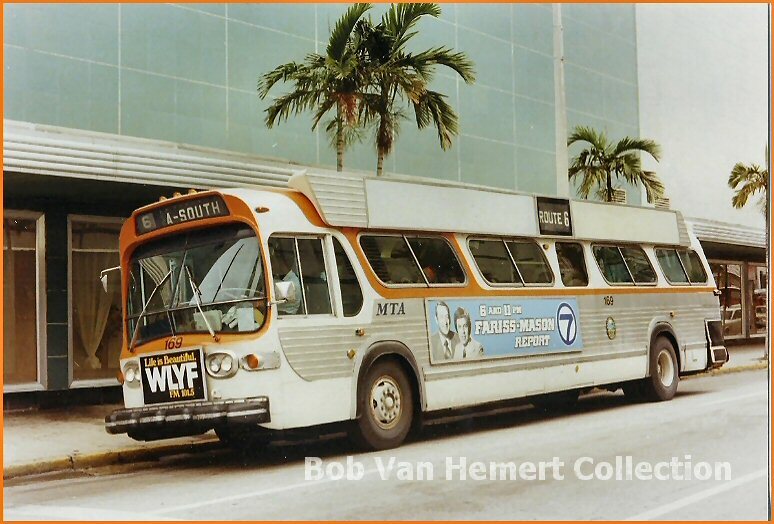 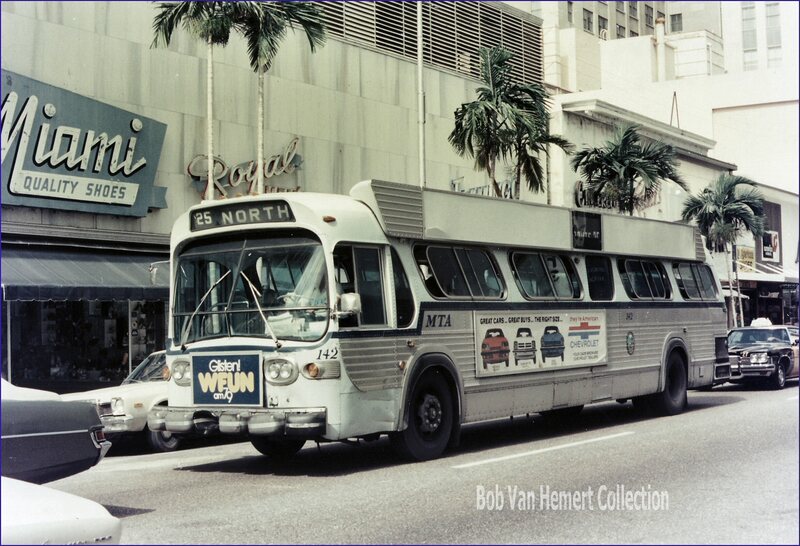 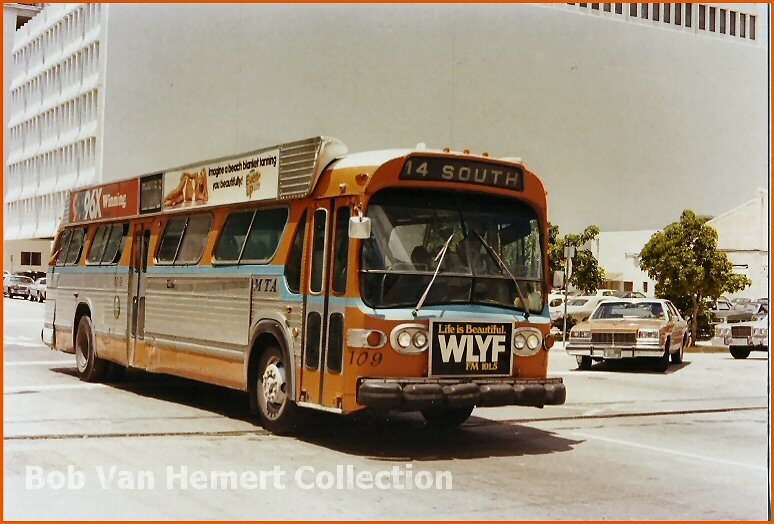 The 142 on an Opa-Locka bound 25 in downtown Miami and the 105 sporting paper signs for Route 57 which was similar to the recently discontinued Route V.
The 169 on a Coco-Plum bound Route 6 and the 174 at the then end of the line for Route K in Surfside. 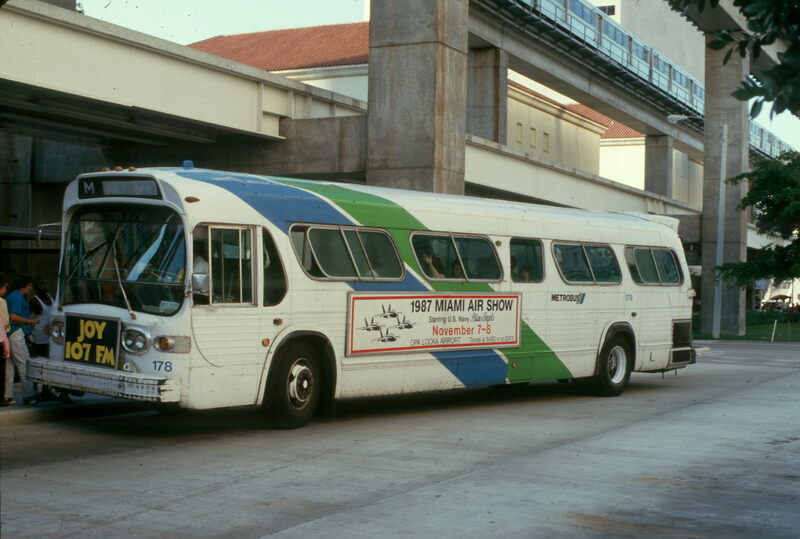 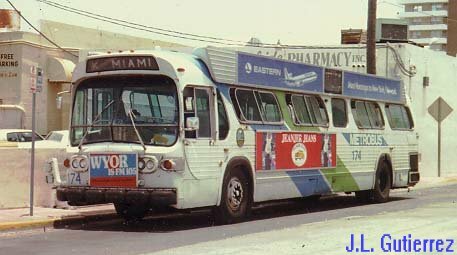 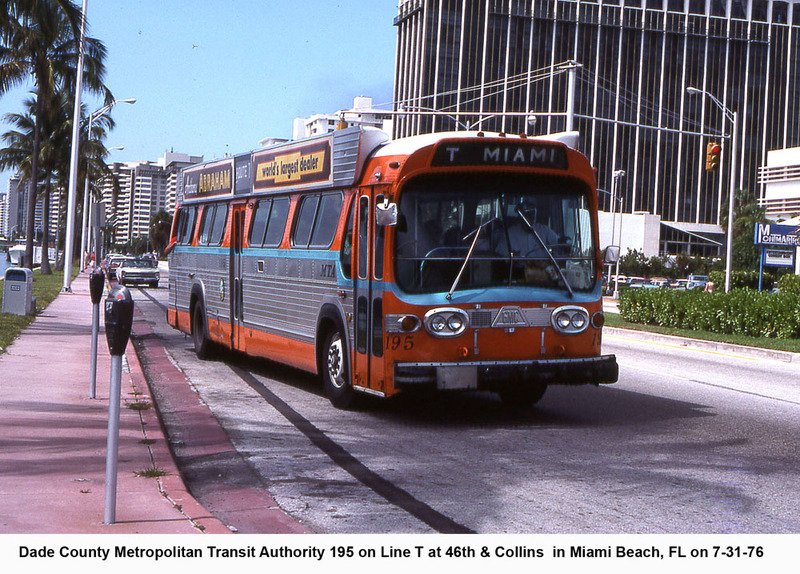 A refurbished (bus-o-ramas or "batwings" were removed when rebuilt) bus 178 on a beachbound M at the CBD terminal in downtown Miami. 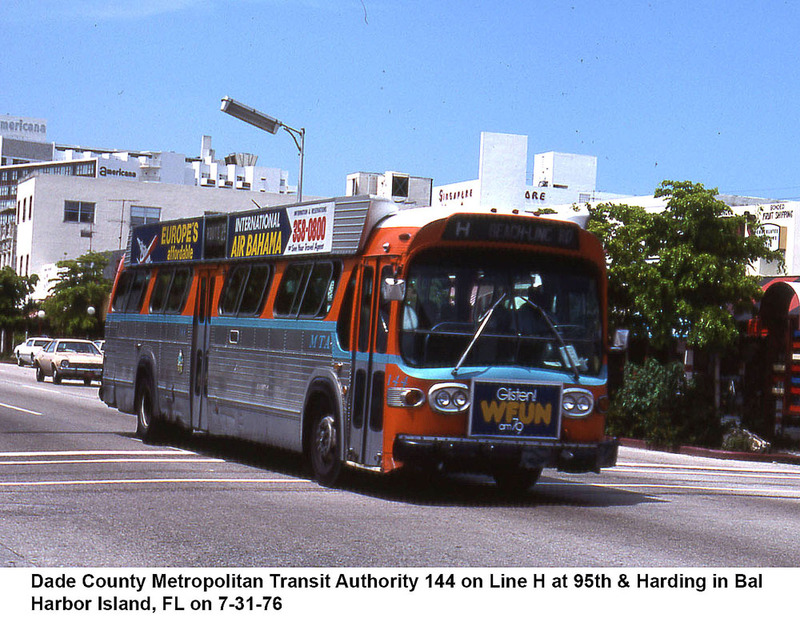 The 110 during its final days on a 77 route at Golden Glades as Supervisor "Action" Jackson conducts an inspection.